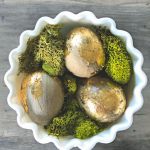 I am all about budget-friendly decorating, especially when it comes to seasonal decor. 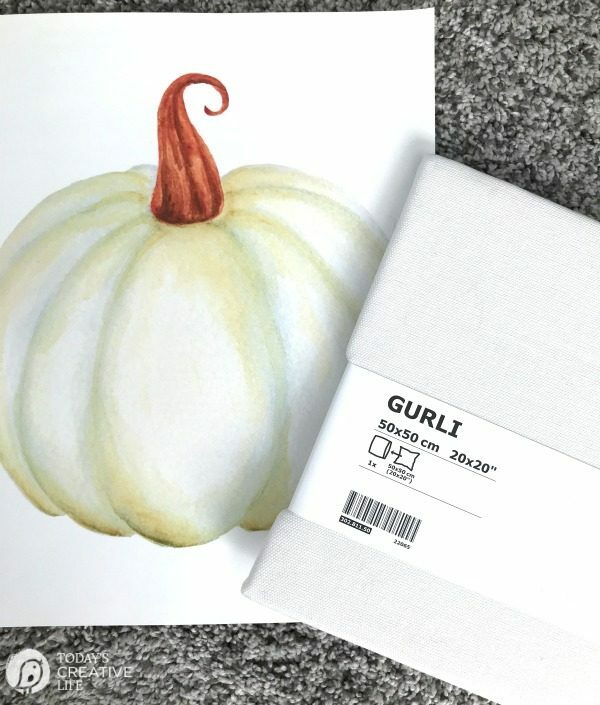 These DIY Pillows for Fall were so quick and easy to make using iron-on transfer paper and a few fall digital images. I use iron-on transfers all the time to whip up instant decor. I’m also sharing a few of my friends and their pumpkin decor. 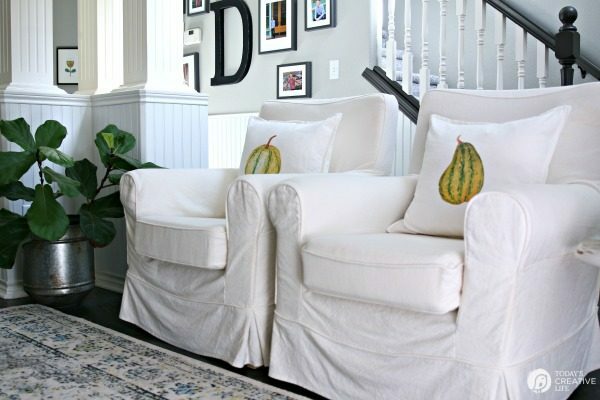 If you like decorating and peeking for a glimpse into someone’s home… YOU ARE GOING TO LOVE THESE GIRLS! Keep reading! You can purchase these files using my referral link. If you are using them for commercial use, please read the license information. This fall I was constantly feeling behind in my autumn decorating, even though it was only the end of September. First I threw together a quick Fall table centerpiece using my DIY Cloches with a few mini pumpkins I picked up at the grocery. 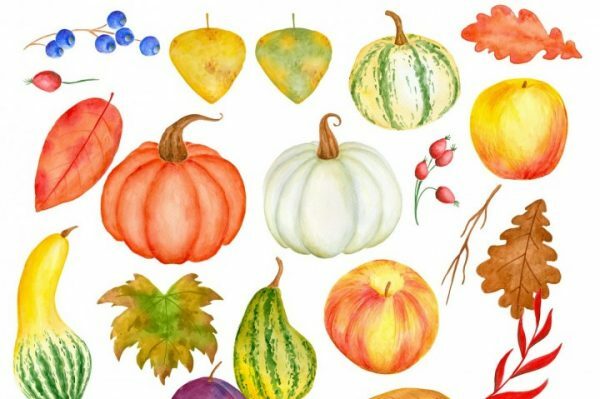 Then I headed to my favorite digital image site and purchased a bundle of Autumn designs for $3. After downloading, I quickly chose my image and got busy! (Had these been available at the time, I wouldn’t have gotten them too). 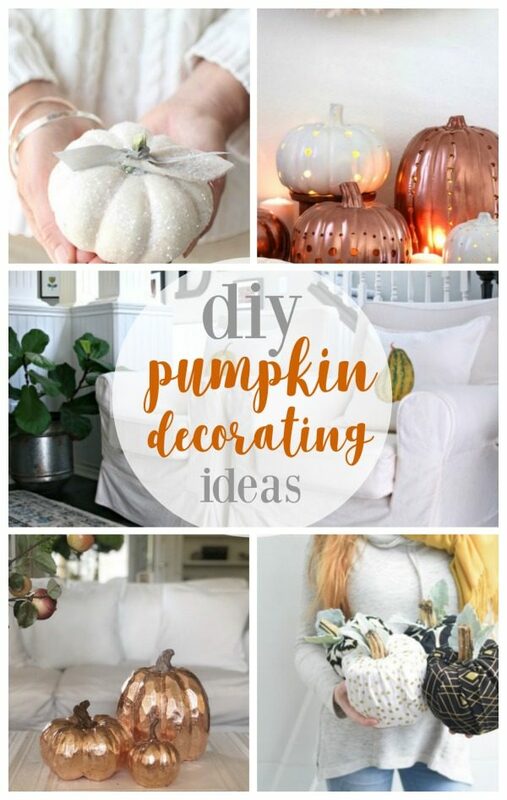 I knew I had a few plain cream IKEA pillow covers that would be perfect for creating simple and fast DIY pillows for fall in less than an hour. 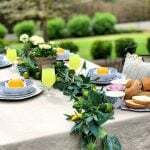 Just a few simple touches, with minimal effort and just like that, my home was decorated. I haven’t even gotten my fall totes out of the basement. I’m not sure if I will. You can find the step by step full tutorial, along with a video on this DIY Home Decor with Iron-On Transfer Sheets post. 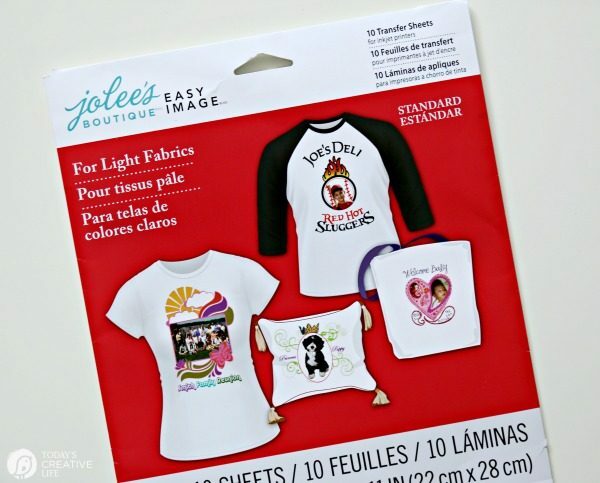 Where can you buy iron-on transfer paper? I usually just pick it up at Michaels or order it direct from Amazon. 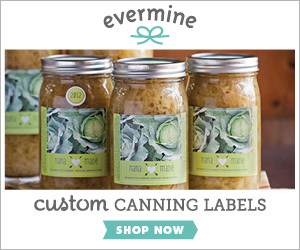 I use Jolee’s or Avery because that’s what my local Michaels carries. What side do you print on? One side will have either lines or printed text. 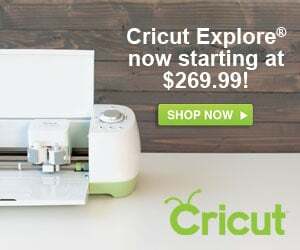 You want to print on the plain side. 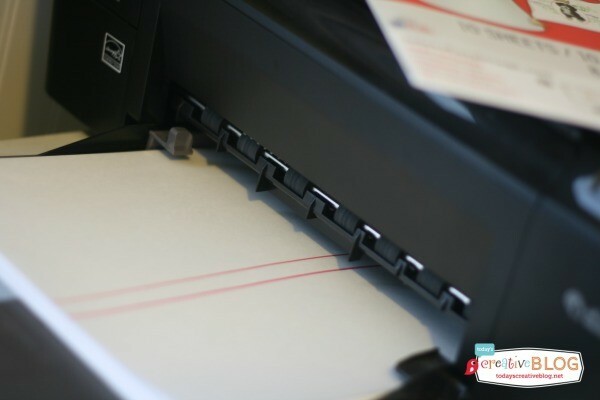 Loading it in your printer will depend on how your printer pulls the paper when copying. To test, I mark the top of side of the regular paper that’s already in the printer and then I’ll print something random. When it’s finished, I can see which side my mark is on. If the mark is on the printed side, then that tells me to load my paper face up. I hope that makes sense. Most iron-on transfer papers are for inkjet printers and will tell you on the package. You can find them for laser printers too. Yes. 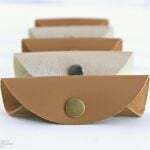 Check the paper type for your needs. I tend to always use the one for light fabric. They even have glow in the dark. How do they wash up? Yes, I wash them. I’ve made a lot of dish towels and they wash up great. They may start to fade or crack slightly after several washes. Can you use text with iron-on paper? Yes, but you’ll need to reverse your text before printing, otherwise, it will print backward. See your printer settings on how to do this. 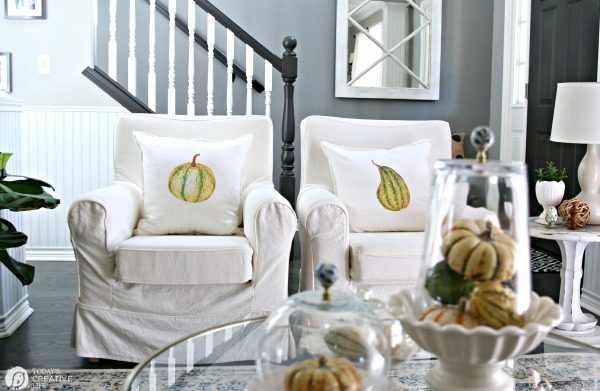 I am in love with these squash DIY pillows for fall decorating! 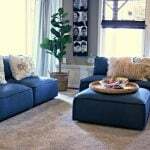 I love how I was able to create custom and original decor in minutes for my home. 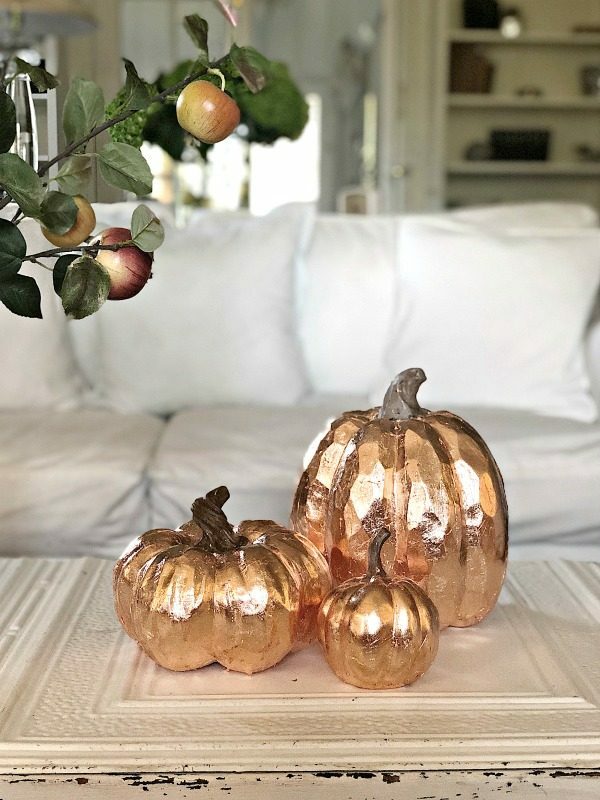 As promised, here are a few of my talented friends and their simple pumpkin decorating ideas that you can easily do. WHOA! You’ve heard of gold leaf, right? Well… Leslie took it up a notch and did copper leaf. 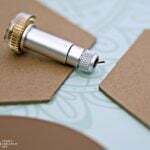 This craft is SO easy, but has such a huge WOW effect! You’ll also want to head over to Leslie’s site… Her home, which is over 100 years old is often used in films and commercials. Let’s see if you recognize it from anything. Visit My 100 Year Old Home. 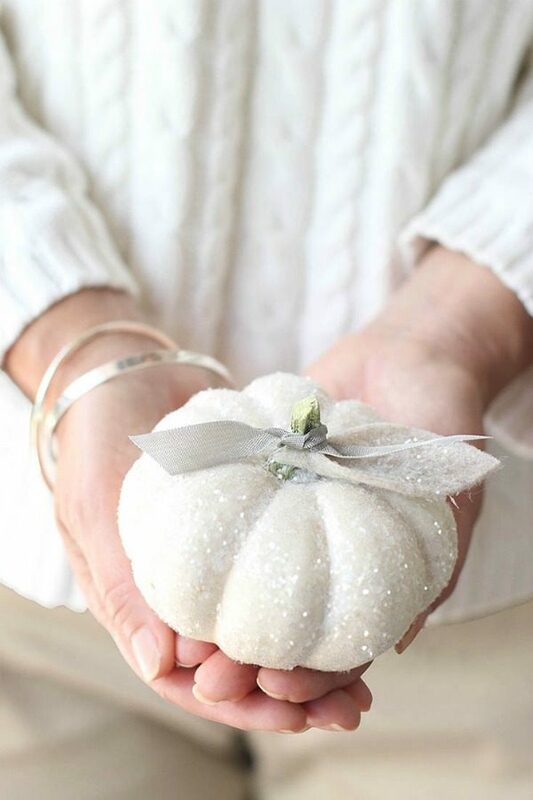 My friend Janine is teaching us a simple way to make glitter pumpkins! 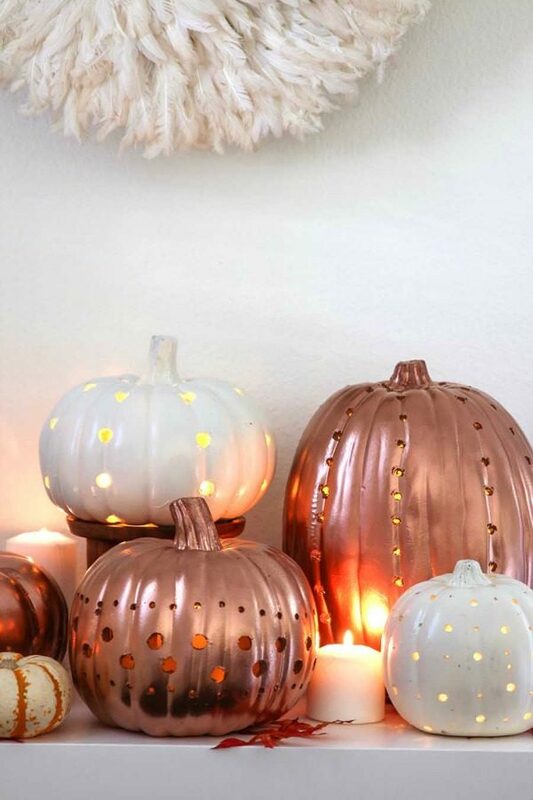 Decorating mini pumpkins with glitter and felt leaves never looked so good. Everything she does has style! 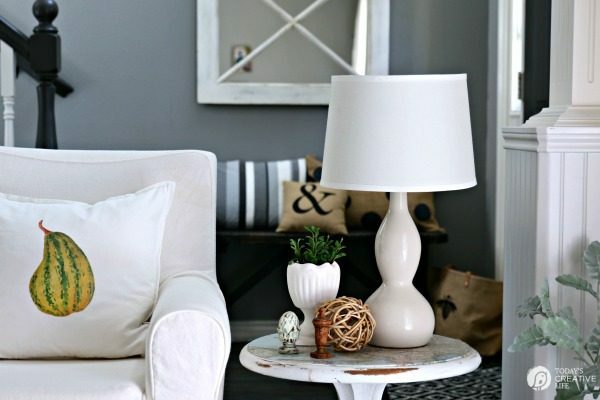 Her site is FULL of simple, yet gorgeous ways to decorate your home. You’ve gotta see her gorgeous home. Visit Happy Happy Nester. 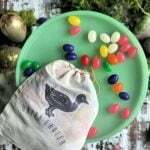 My gal pal Rhonda from Hallstrom Home is CONSTANTLY creating something. She literally never sits down! We are lucky enough to live in neighboring communities and can hit the thrift/antique stores often! 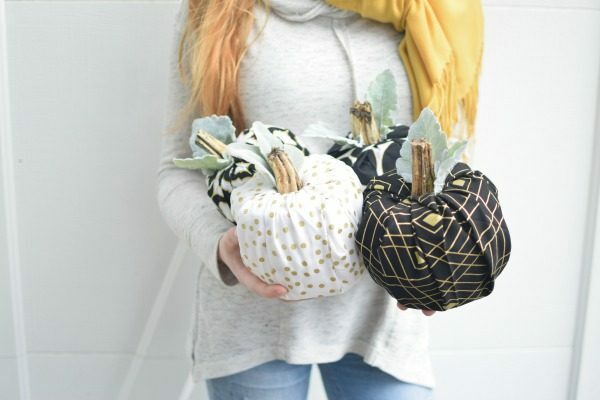 Her ideas are always so fun and this one for No Sew Fabric Pumpkins is something that not only looks fantastic and perfect for fall, but it would also be a great craft for kids! You are going to flip over Modern Glams Pumpkin Luminaries! 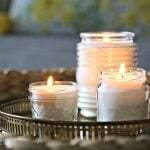 These remind me of something Martha Stewart would do! I’m not surprised! Talent runs in Ashley’s family. 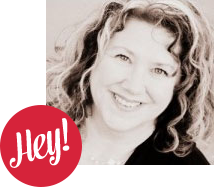 Her sister is one of my long-time blogging buddies, Jen from Tater Tots and Jello. These are SO cute!! I love the fall designs! Thanks Jamielyn! I was thrilled to find them for only $3! 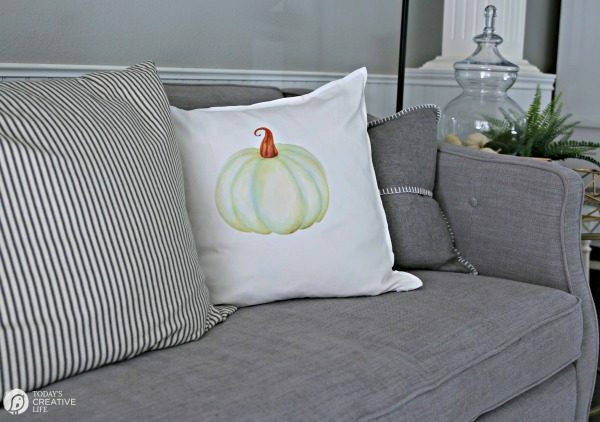 I love easy, DIY seasonal pillows like these pumpkin ones. So cute! Thanks Em! 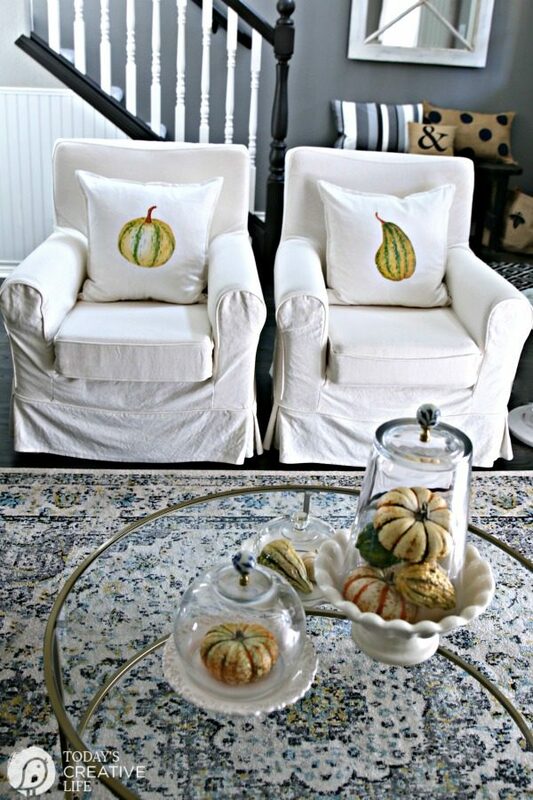 It’s such a great inexpensive way to decorate for the seasons! These pillows are super cute! 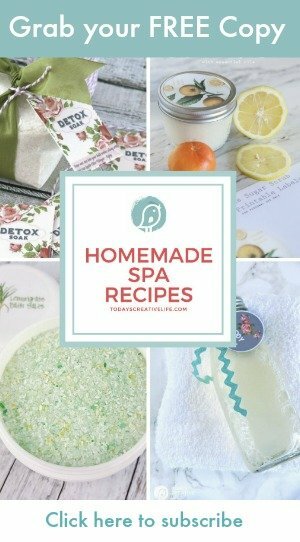 I need to make a couple! 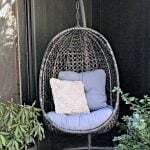 Thanks Anna, they are so easy and add instant decor! These are so cute! I love the pillow forms from Ikea, but I didn’t know they sold cream pillow covers. I’m going to have to stock up next time I’m there. I need pillows for all the holidays! Oh Yes! And sometimes they have the linen texture which is my fav! Your projects are always so awesome! 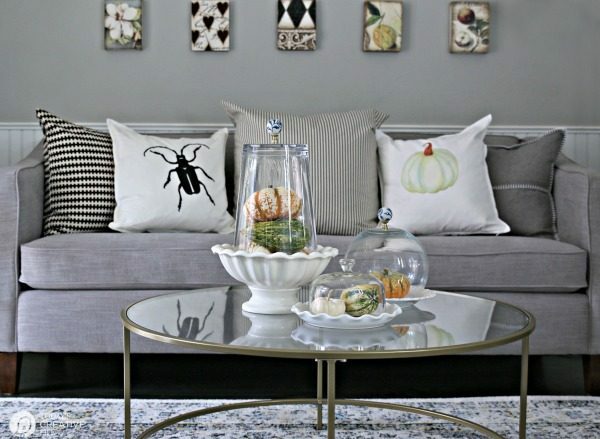 And this pillow transfer can be added to your list of great crafts! Thanks for all your help on this tour! It was so fun! Thanks for including me Janine! These are super cute! Thanks for sharing this!